Here's an outfit that I wore during our recent trip to Highlands, NC. I love this easy cardigan as it can be worn several ways. There is another photo further down of another way to style it. Also, the foliage was absolutely amazing at the time were were visiting! Y'all know how much I adore a top with a ruffle hem. Every time I see a cute one, I can't help but make it mine. This one is absolutely adorable, comes in five color options, and is under $70. These lace-up leopard flats have been a favorite pair of mine! They are very comfortable, and under $70. They were also recently re-stocked in all sizes! Here's a fact about me: I love statement earring! BaubleBar recently sent me these gorgeous pairs! How perfect is the red pair upcoming Christmas festivities?! This is what I wore to my best friend's wedding rehearsal and rehearsal dinner last week. However, this photo does not do this dress gorgeous! This was a quick snap on the way into the church, but I do plan to style this dress very soon on the blog, so stay tuned! This scarf is my latest obsession! It's so cozy and versatile. The best part is that it doesn't feel like it's strangling you as some scarves tend to do. This cozy, oversized sweater has been a go-to recently! 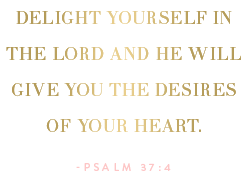 It comes in three colors and is currently 40% off. That right there is my only explanation to the way things have worked out. I knew that if I gave everything going on in my life to God, I would find a way to do it. I know that my strength comes from Him alone. And as I begin each day, I pray for wisdom and the strength I need to complete everything. And goodness is our God faithful. This program has been such a blessing as I am able to earn a degree in something that I thoroughly enjoy, all while being at home. And I never imagined that I would be able to turn my blog into a job, making it to where I can work from home, all while being with Madeline. Each season has it's ups and downs and it's scary unknowns, but I am brought to tears just thinking on His faithfulness and His promises to never leave us nor forsake us. And with that, I have learned to not fear the future. Do I have any idea what it holds? No. But I can rest knowing who holds it for me and Madeline. It is so important to treasure each season the Lord places us in...not harping on the past or racing into the future. The Lord has placed us in each season of our lives to grow us, teach us, prepare us for what is next. I say all of this because if you are currently in a season of unknowns, find the joy in it! Count the blessings in it, and know that the Lord has placed you there for a reason. Trust in His timing and His plan, and everything will fall in place. Trust me, it always does! On another note, I also have sincerely missed posting more of my faith related posts, and I apologize for slacking on them. Those posts take a lot of time and emotion, and I usually find myself so emotionally drained by the end of the day that they have not been the easiest to put together. I hope to get back into posting them more regularly. Thanks so much of stopping by! I hope y'all have a great Monday. Thank you for opening up and sharing the source of your strength with us, Rachel. I love to see your fashion posts, but I loved your faith posts even more. Have a great week. 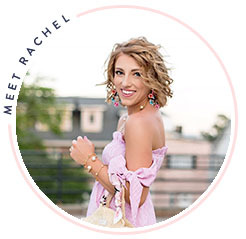 These outfits are all so gorgeous, Rachel! Good luck on the rest of your semester! Ahhh I love this so much! Currently wanting to copy all of your outfits but my favorite part is the end! It's SO important to treasure each season. Thanks for posting!! I think you're doing a great job balancing it all & I promise, it will be so worth it for your little girl once you've earned that degree! Also, I'm dying over your rehearsal dinner dress & those red statement Bauble Bar earrings-they're gorgeous! You should be so proud of yourself for managing so many things! The photos are beautiful and I always feel that I benefit from your faith posts - so inspirational!